5845 Tetherwood Drive has a Walk Score of 29 out of 100. This location is a Car-Dependent neighborhood so most errands require a car. This location is in the Whitmer-Trilby neighborhood in Toledo. Nearby parks include Greenwood Park, Wernerts Field and Chippewa Playground. Explore how far you can travel by car, bus, bike and foot from 5845 Tetherwood Drive. Brooke Park Apartments 1 Bedroom!!!!! 5845 Tetherwood Drive is in the Whitmer-Trilby neighborhood. 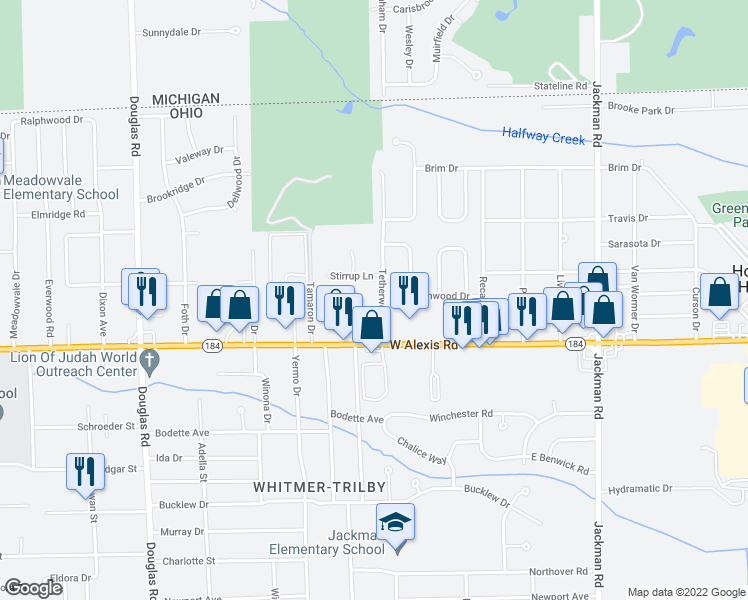 Whitmer-Trilby is the 19th most walkable neighborhood in Toledo with a neighborhood Walk Score of 39.